The BFSI sector is among the pioneers in adoption of latest technologies and IT infrastructure. This is driven by multiple factors; one of the primary factors being the increasing competition and the need to provide the best customer experience. The 2019 edition of Express BFSI Technology Conclave encapsulated all that’s happening in the BFSI sector today, and what the future will bring for the sector. The conclave witnessed participation of renowned industry stakeholders over the two days. Spread over two days, the conclave also honoured innovative implementation of technology by BFSI organisations, with BFSI Digital Innovation Awards. Adding further, he opined that big data, artificial intelligence, blockchain, cloud, virtualisation and video banking form the current technology wave in the industry. Emphasising on Yes Bank’s efforts, Pai said the bank ensures that digital helps in customer acquisition, payments and transactions, and customer service. “At Yes Bank, we build alliances and relationships with technology,” he said. Sharing his views, Gururaj Rao, CIO, Mahindra Finance, stressed on the necessity to embrace the concept of ecosystem and partnerships. He said, “Physical and digital; both worlds are today mixed up. Robotic process automation (RPA) and blockchain are two of the most crucial technologies at present.” Citing that Mahindra Finance is banking on blockchain for supply chain financing, he emphasised the need to optimise processes before deploying automation. 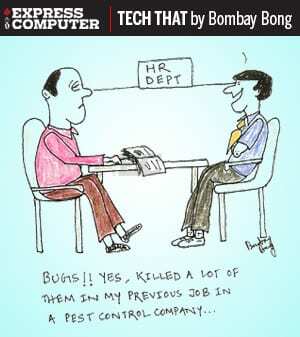 One cannot improve the business processes until the business cannot be measured. The IT leaders have to talk of business first, have data on their functions and then simplify IT. Further Bari added that, while delivering the critical projects, the business thinks of IT as an expressway and every IT employee is stretched by 2.76 times at the workplace. Tools and technologies are always required to win a battle hence companies should continue to invest in technology. A panel discussion titled, ‘Best practices from digitisation – Lessons from the masters,’ was moderated by Srikanth RP, Group Editor, Express Computer & CRN India. “We collect specific data in order to simplify customer journey and take meaningful insights. Our mantra is to simplify the products and faster claims,” said Gautam Dutta, CI&TO, Bajaj Allianz General Insurance. Other panelists included Gangadhar S J, Head – Technology, Digit General Insurance and Gaurav Zutshi, CDO, Aditiya Birla Capital. The digital era is pushing enterprises to be agile in nature. Enterprises need to have a mushrooming environment to identify the right fintech partners and skill sets. Further to discuss about identifying the right leadership roles to complement emerging technologies, the conclave featured a panel discussion on ‘Competing in the digital era: Perspectives from digital thought leaders,’ moderated by Ritesh Pai. As a participant on the panel, Prasanna Lohar, Head – Innovation & Architecture, DCB Bank, highlighted the five pillars of digital – enhancing the existing processes, adopting the latest technologies and understanding customer behaviour, adopting the changing regulations, identifying the right leadership roles, and collaborating with fintech and startup companies for agile and innovative ideas. “Conventional banking will take an important turn in the industry and DevOps process will continue to be the critical pillar for digital,” opined Biswabrata Chakravorty, CTO, IndusInd Bank. Geeta Singh, DGM – IT, Punjab and Maharashtra Co-operative Bank and Balakrishnan A, Executive Director, Geojit Financial Services were among the other panelists. CISOs and business should look at security as insurance, and information security should be kept parallel to business. “Have basic hygiene and security parameters in place, and make them absolutely non-negotiable. Also new technologies should be put in the regulator’s checklists” commented Maya R Nair, CISO, Reliance Capital. Sayyad Salim, Head – IT Infrastructure & Cyber Security, Bajaj Finance; Shashank Bajpai, CISO, ACKO General Insurance and Shiju Rawther, Head – Tech Infra Operations & Security, TransUnion CIBIL were among the other panelists. The conclave also witnessed numerous presentations by leading technology infrastructure and solution providers. Representatives from these companies covered a diverse spectrum of topics. Speaking on data management and compliance in the cloud era, Pete Yamasaki, Regional VP – APAC, Druva Data Solutions, shared an interesting insight indicating, by 2020, 50 per cent of the data will reside out the data centres in most industries. Highlighting the need to be aware of where the data travels, he said that the company sees good acceptance of cloud in India. With digital being part of every organisation’s IT transformation, there is a need to strengthen focus on service delivery and customer experience. Speaking on ‘Going beyond digital,’ Nilesh Marathe, Digital Engagement Solution Sales Leader, Avaya India, was of the view that innovation is all about staying relevant. He further added, “The digital workplace and digital marketplace needs to be focused upon, in order to ensure greater customer experience. Voice and messaging have emerged as new user interfaces,” while stating that 71 per cent of consumers would like to bypass identification and verification questions by using voice biometrics. During the session, Marathe also demonstrated a voice-based use case on policy renewal. 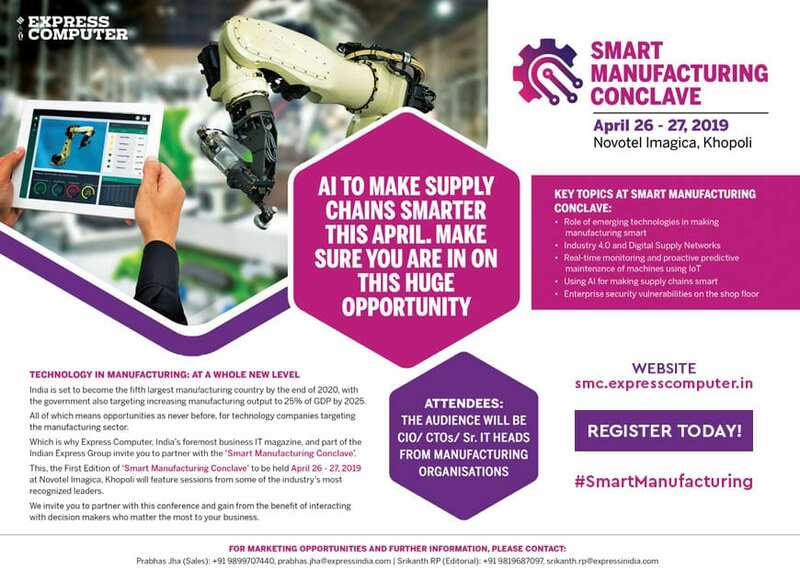 The conclave various power discussions, wherein IT decision- makers from BFSI companies deep-dived into the various facets of technology solutions and how they can address the current challenges. 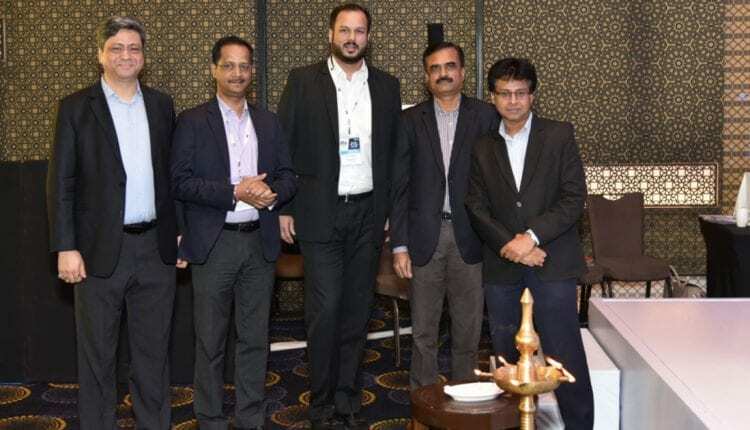 A power discussion hosted by Qlik was titled, ‘Paving the way of data-driven transformation’ and was conducted by Nilesh Kulkarni, Pre-sales Manager India, Qlik. Kulkarni highlighted the struggles that enterprises face while transforming the data into business results. “Business intelligence has the capability to optimise the human data when the enterprises harness the collective human intelligence,” he said. 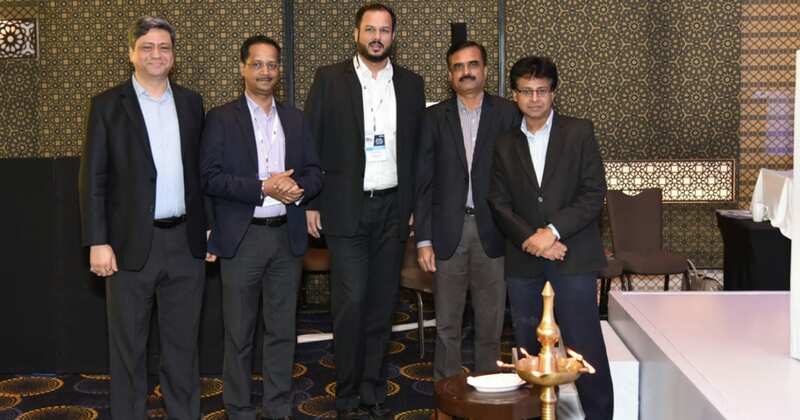 Themed ‘Digital disruption 2.0 with AI,’ the power discussion conducted by Dell EMC, affirmed the the services segment is the biggest beneficiary of digital disruption, but this has also brought large amounts of threats. Dell EMC team pointed out that progressing economies are embracing new models and India is at the cusp of digital transformation, with initiatives such as Startup India, Skill India, Digital India, Smart Cities and more. A power discussion by CrowdStrike, the company’s representatives addressed the various concerns raised by the audience, which included various security solutions working in silos and the need to have one solution for the endpoint. Another participant pointed out the need to secure application with a centralised security approach. Another power discussion titled, ‘Smart data on a digital world’, was led by Manish Mirajkar, Sales Engineer, Netscout, who spoke about the factors and criticalities driving the digital transformation. This was followed by a power discussion hosted by Bakshish Dutta, Country Sales Manager – India & SAARC, Druva. Dutta highlighted the risk associated with emerging technologies and ways to protect sensitive data.